I've been adopted by my foster mom. We just couldn't live without each other. Personally, I think it's my happy spirit and great dance moves that won her over! Dennis is doing really well and we think he is now ready to be adopted to a quiet and rabbit savvy home. He loves to dance when he's feeling happy and safe! 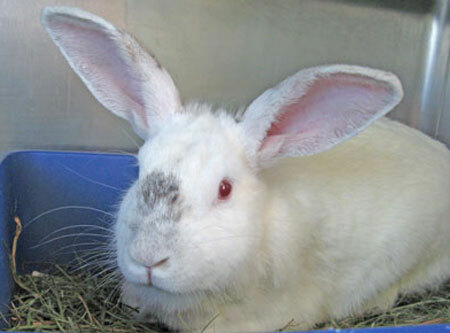 Dennis is a sweet, but very depressed bunny who desperately needed OUT from the shelter. He is recovering from a skin irritation and was scheduled to be euthanized, because of overcrowding at the animal shelter and no space left in rescue. However, we were able to buy him some time and know this guy will be a superstar with just a little time and TLC. Can you help us by fostering him? Or, maybe fall in love and adopt him? He deserves a long, happy life filled with love.